﻿﻿We know it can be hard to connect to people just coming to church on Sunday. Small Groups are designed to help you go deeper in your understand of the Bible and living out your faith. We hope you will be able to connect to a group that supports you where you are in life and where you are looking to go next. 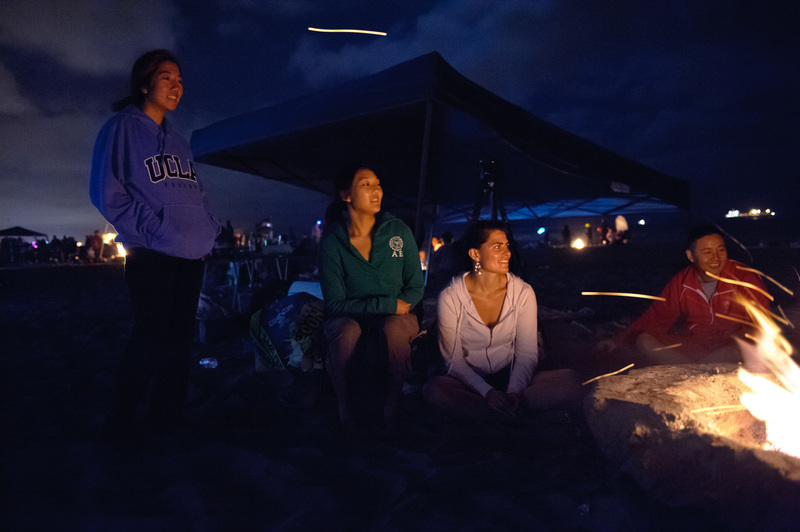 Small Groups meet all over LA throughout the week for all different life-stages. If you are having hesitations about joining a Small Group be sure to checkout the 4 Reasons Why Small Groups Are Great. We can also help you find The Right Small Group For You. We are a group comprised of families with kids. We meet on Sundays in the late afternoons in someone's home in the Culver-Palms area. We meet as a Family Group once a month for a dinner and celebration. In between, the men and women meet on alternating Sundays to see God at work through Bible Study, sharing, and praying together. We are a group comprised of couples with young children in the beach cities area. Unmasked. We are a family group that currently alternates weeks with the men and women but continues to study the same content. This allows us to keep our kiddos on their evening routines while one parent/guardian is home with them. It also allows for the group that is meeting to have deep and meaningful, uninterrupted time in study and connection with each other. We currently have 7 couples; all with children (13 total) ranging from infant to 10 years old. The VINE. We are a diverse group of families & singles who usually meet every other Sunday afternoon. We connect, we pray, we seek and serve God together. We rotate our meeting place, at a few different homes in the area. Kids are welcome too. Most of ours are under 8 years old, but all ages are welcome. #BLESSED. We believe that we have been abundantly BLESSED and because of the great blessing God has poured down upon our lives, through His son Jesus Christ, we are to be a BLESSING to others. We exist to lift each other up in prayer, grow in our faith, build community and remind each other that no matter what season we find ourselves in that we are #BLESSED. Still having a hard time finding where you fit?